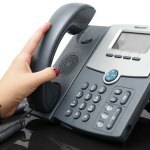 Salyan –Kalimati rural municipality of Salyan district has been without telephone service since two months now. The only telephone service available in the area - GSM telephone service operated by Nepal Telecom – has been out of service leaving the rural municipality without telephone service. "No other telephone service works in the rural municipality except the Nepal Telecom's Namaste mobile phone service. Even the Namaste service is not regular since two months, which has created problem," said a local Kul Prasad Bhandari. The rural municipality is also cut off from road transport after the only motor road connecting it to the district headquarters, Dang and Surkhet became obstructed due to landslide triggered by the recent incessant rains. "The people of this rural municipality have been facing difficulty with the disruption in telephone and transport services for many days," Bhandari added. Chairman of Kalimati rural municipality Daan Bahadur KC said that they have informed Nepal Telecom about the disruption in the telephone service time and again but their complaints have fallen on deaf ear. According to him, six wards of the rural municipality except ward no. 1 are without telephone service at present due to some technical fault with the telephone tower. KC said they even reached the Ministry of Communications and Information Technology seeking its intervention in restoring the telephone service but to no avail.